Our first Community Helper for D is Dentist. 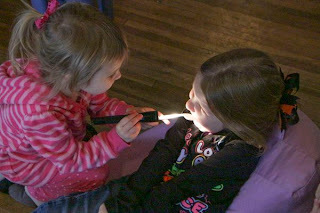 Obviously the girls are quite aware of what a dentist does, especially Bria who has already had cavities. This would have been a great place to visit with snacks, but unfortunately for us our dentist (and doctor) is an hour away. Not someplace I can just drop by! Hopefully we will remember to take something next time we have an appointment! We were lucky to find a a dentist kit at the library that included a dentist puppet, mirror, tooth x-ray, and several books. They had fun pretending to be dentists. Nadia did not like the flashlight in her face. 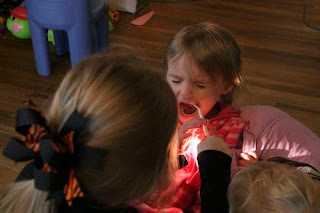 She also didn't like it when Eli got ahold of it and tried to stick it in her mouth! 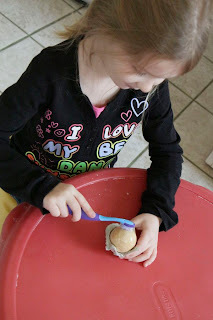 Then we did a little experiment from The Chocolate Muffin Tree to show them why we need to brush our teeth. 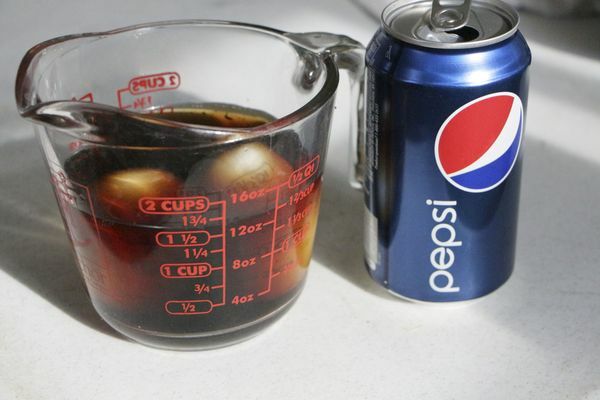 I soaked 2 white eggs ( I used them straight out of the fridge) in Pepsi for a little over an hour. 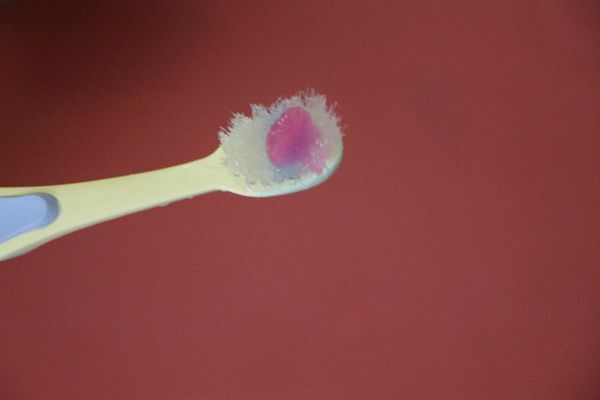 Then I gave the girls old toothbrushes (I had saved them just for this) and a glass of water. 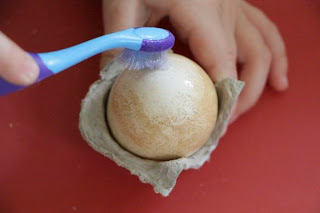 I let them brush the eggs for a little bit like that, and they could see a difference. Then I asked if they wanted some toothpaste. They were excited to try it and brushed away! Somehow Nadia brushed a bit too much (Maybe hard boiled eggs would have been better; I just wasn't sure the color would come off them as easily). You could definitely see the brown came off even better once we added the toothpaste! Bria got her egg fairly white again! I think after all the scrubbing they can really visualize why they need to brush their teeth well!